The A1 Shooting Ground is a family-run clay target shooting facility offering English Sporting, Olympic Trap & Helice. Beginners are welcome and we are able to provide all necessary equipment within our coaching packages to ensure that your first experience of clay target shooting is a memorable one. For shotgun licence holders, we have a fantastic 14-stand English Sporting layout, an Olympic Trap layout, as well as the only fully-automatic Helice (ZZ) facility in the UK to accommodate every level of experience. We hold regular competitions in Helice/ZZ for those with a more competitive edge. 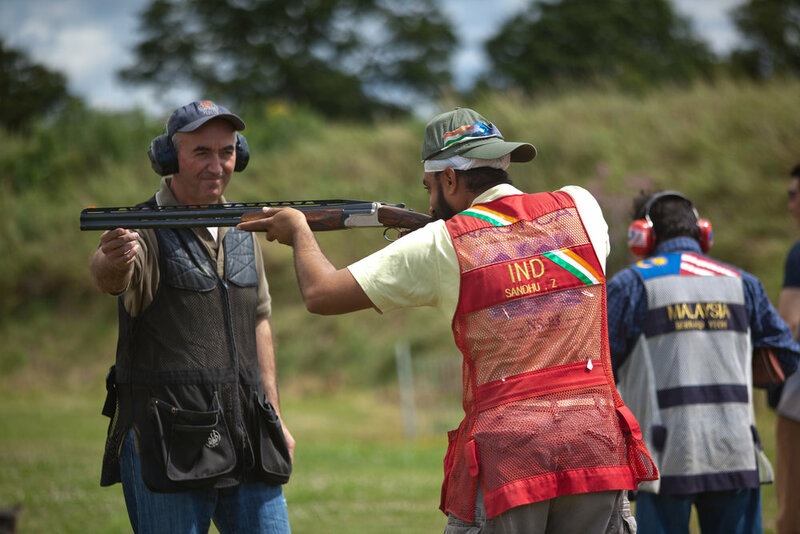 We are proud to have trained many national champions and Olympians in Olympic Trap shooting. Claudio Capaldo, the ground owner, is an accomplished coach who has acted as National Team coach in many Continental, World and the 2004 Olympic Games. Want to try clay target shooting? Whether you have never held a shotgun before or just need someone to improve your technique, the A1 shooting Ground offers a wide range of shooting lesson packages to suit every skill level for both groups and individuals. All you need are comfortable clothes suited to a walk in the countryside and we will provide all the necessary equipment when you book one of our shooting packages. You will be supplied with a gun (unless you already own one), cartridges, clays, shoulder, ear and eye protection and instruction. Our professional and experienced instructors will demonstrate how to use a shotgun safely and accurately and will tailor each lesson to match a person’s ability for a rewarding, memorable and fun day out.